When James was younger we realised that he doesn’t need a bath every day, as the baby manuals would have you believe, in order to establish a good bed time routine. But it is useful to have a period of calm, relaxation before bed. I prefer James to have time away from screens during this time, and so we do quiet puzzles, or occasionally water play. We sometimes set up a little ‘kitchen’ in the living room. I give James a little bowl of water and let his imagination take the lead. James pours us cups of tea from his teapot, or makes waterfalls, or he washes his cars. So tonight, as the weather brightened up towards the evening, James was itching to go outside, but I could see that if we went too far or too structured, he’d get over tired. 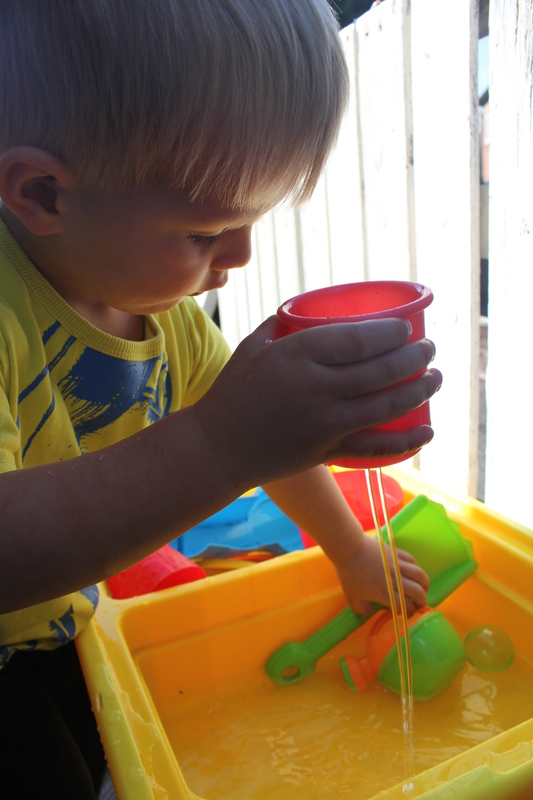 Not very long ago we bought a water play table from Smyths. 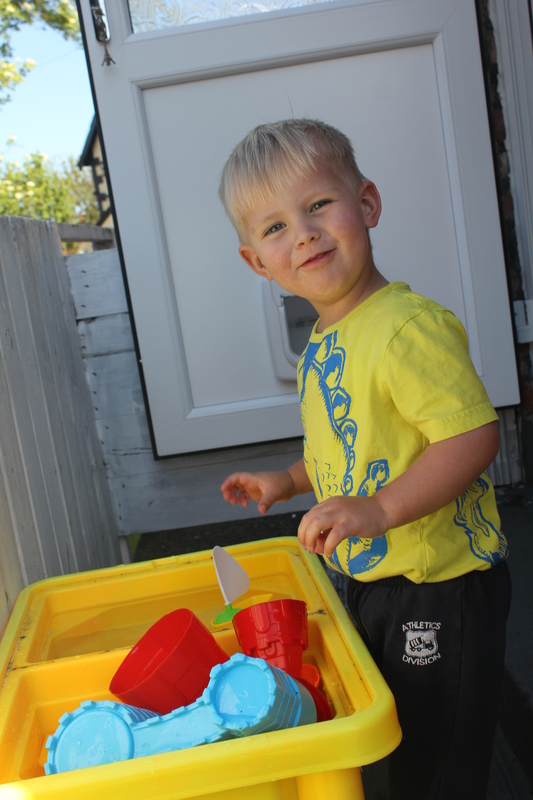 It’s fantastic – it has a lid, a castle, bridges, boats and a watering can among other toys and tools. James absolutely loved the idea of playing outside for a while after dinner. Please excuse the pasta Bolognaise around his chops! 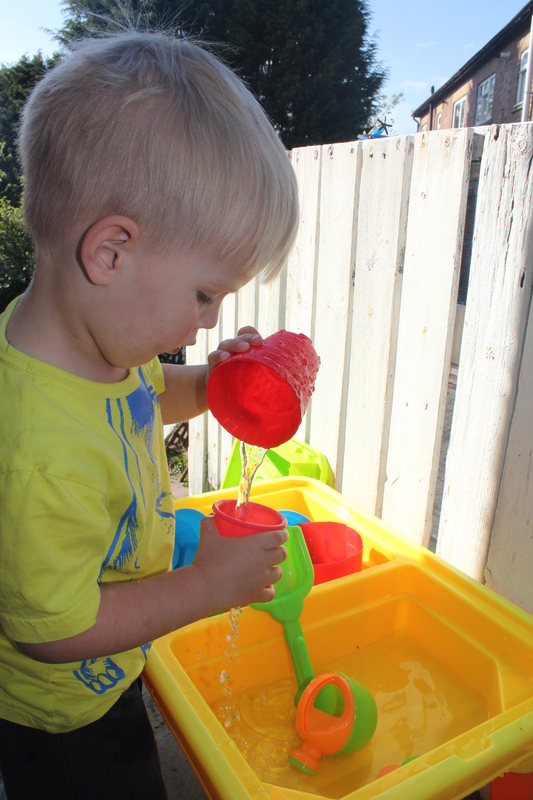 He spent a good thirty minutes pouring water into and out off all the cups, castles and boats. Then I put him to use for a little while. 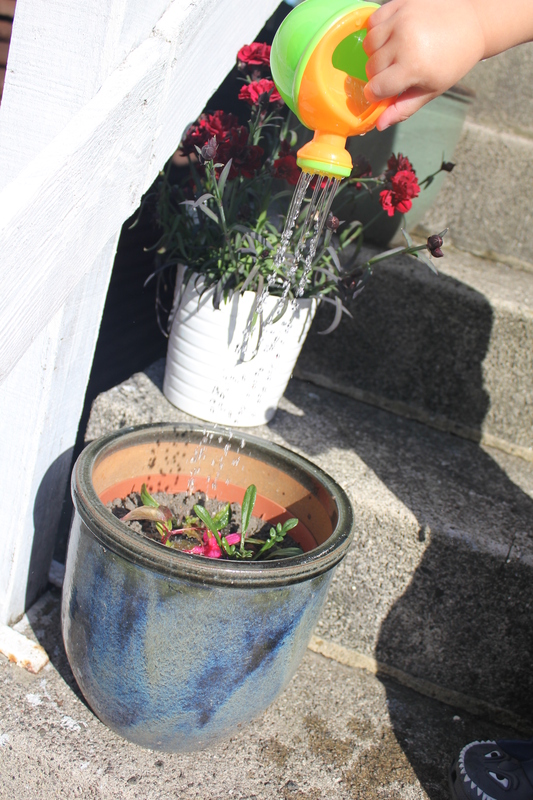 Very useful, and such a cute watering can! So, all in all, this was a fabulous bit of outdoor play, perfect for a sunny evening and a nice wind-down before bed. It allowed me to potter around in the kitchen, doing the dishes after our meal, too. I think that’s such a nice feeling, when I don’t have to do chores after James’ bedtime. A cup with holes in – is it still a cup?! So simple but got him outside and having fun for a little while! 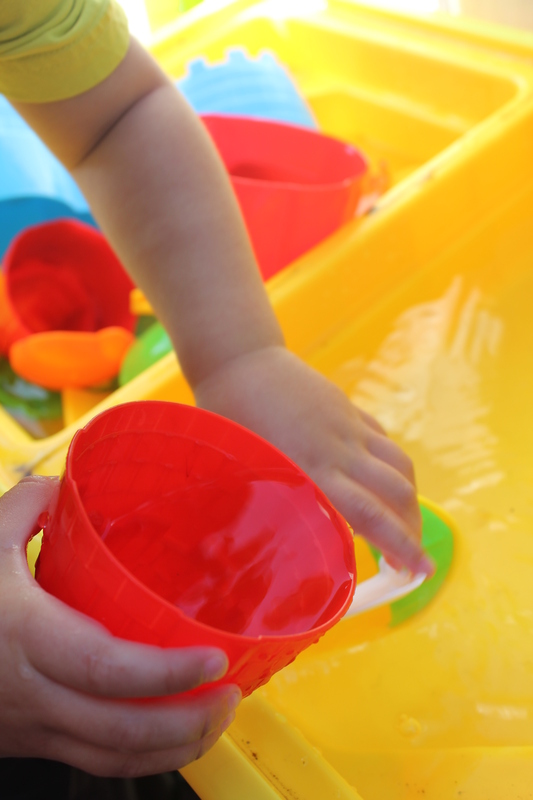 Water play is a great idea for a wind down activity after tea, there’s definitely something relaxing about water. 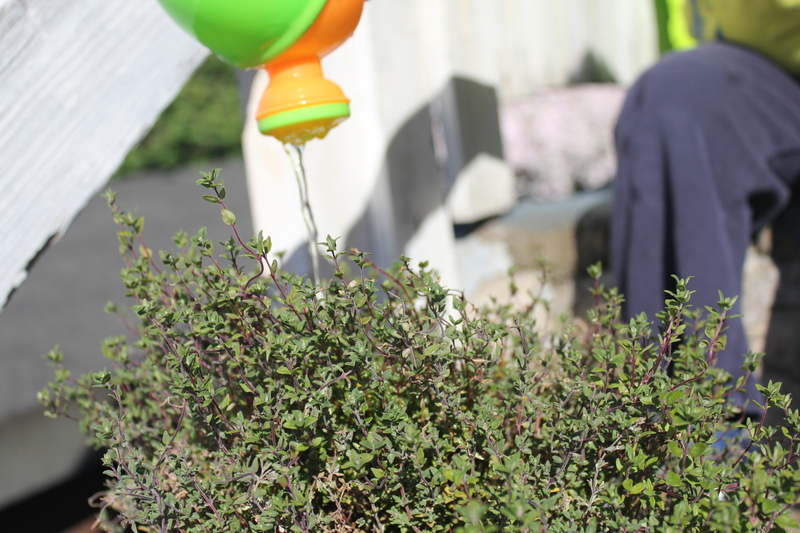 It’s great that James enjoyed this treat (and you even got your plants watered for you). 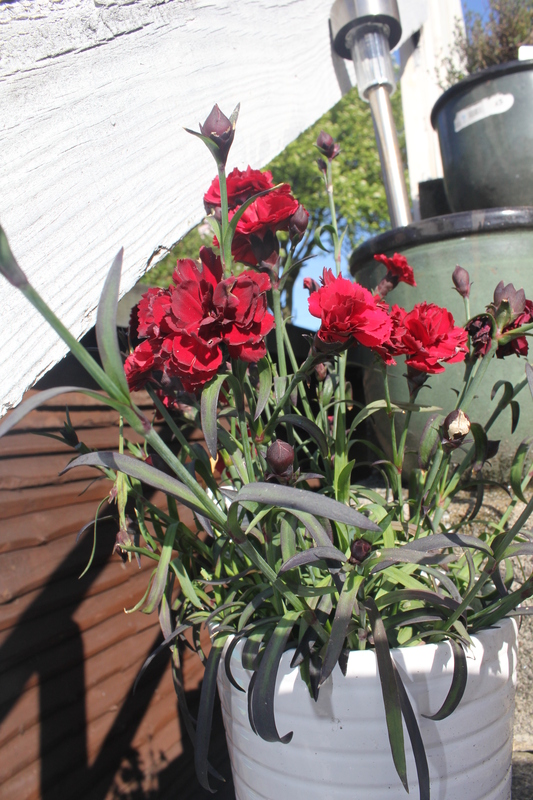 It’s great that you got some good weather to enjoy, let’s hope it lasts now! Thanks for linking up with Country Kids. Haha, no! Squirting with water guns is the very opposite to winding down!